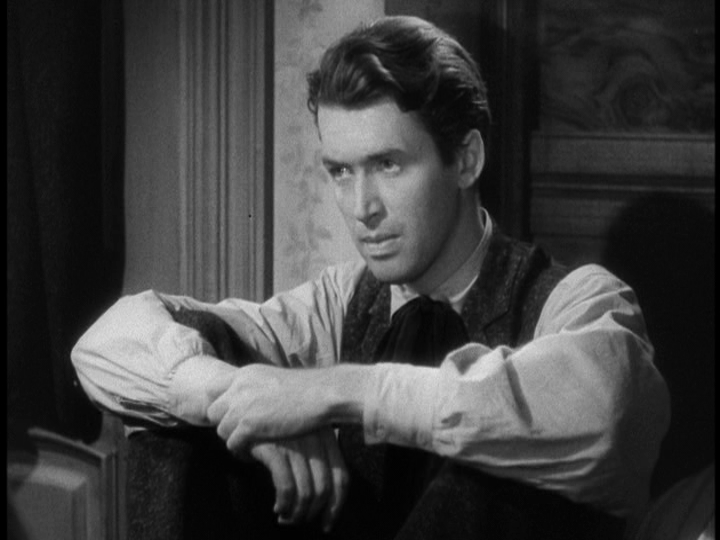 The son (Jimmy Stewart) of a famed sheriff is hired to work with the newly appointed sheriff (Charles Winninger) in a lawless town run by a murderous bully (Brian Donlevy), his two henchmen (Allen Jenkins and Warren Hymer), and a corrupt, tobacco-chewing mayor/lawyer (Samuel S. Hinds). Destry (Stewart) surprises citizens by refusing to carry guns, but shows his strength in other ways — including initiating a relentless search to learn what happened to the former sheriff (Joe King). 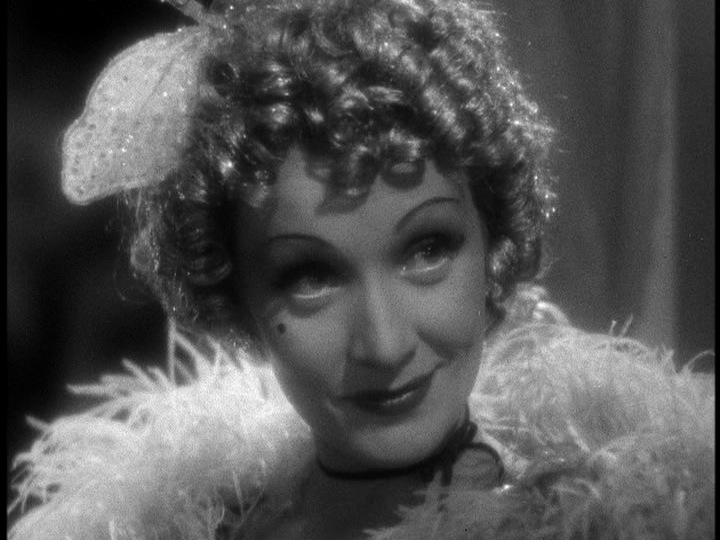 Soon the local chanteuse, Frenchy (Marlene Dietrich), falls for Destry — but can she convince him that his life is in imminent danger? 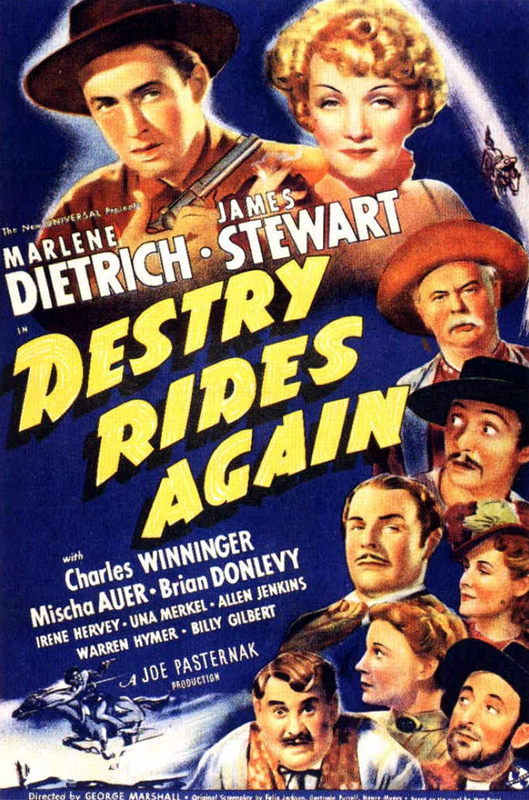 In his review of this “unbeatable western-comedy teaming James Stewart and… Marlene Dietrich” — based in-name-only on a 1930 novel by Max Brand, and directed by George Marshall — Peary writes that “Frenchy is one of Dietrich’s best post-Sternberg roles”, a “bit like her character in Morocco, only funnier and sassier”. Indeed, despite initially being leery of starring in a western, this was an excellent career move for Dietrich, who would later star in another beloved western classic, Rancho Notorious (1952). Stewart, meanwhile, had a banner year in 1939, starring in both this and Mr. Smith Goes to Washington; Peary nominates him as one of the Best Actors of the Year for both roles in Alternate Oscars. 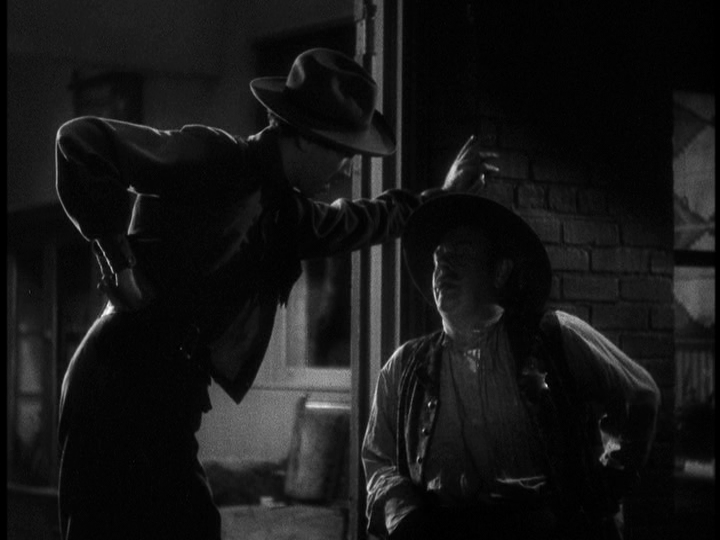 Stewart’s Destry is an enigmatic pleasure to watch on screen: his decision not to bear arms (despite being an amazing sharpshoot) is both admirable and somewhat foolhardy. He maintains order and safety through creative alternatives, demonstrating preternaturally quick reflexes, and coming across as savvy, compassionate, alert, and pragmatic — very much a “super”-man you’d want watching over your town. Yes, as an enjoyable classic. Just rewatched this. I wouldn’t necessarily consider this must-see…however, it’s not dull and it moves rather well. The script is nicely constructed, even if the dialogue isn’t wildly memorable and is more along the lines of being serviceable – to get from point to point. 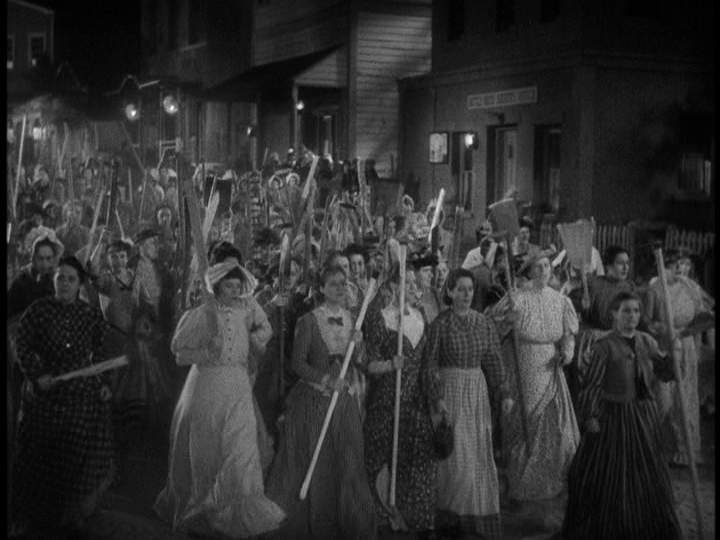 I’d say the film is certainly elevated by the performances, and some of the character touches are nice (esp. Stewart’s).